New technology has breathed new life into the gamebook genre. It seems that there is no end of creative people who are able to take advantage of even the most unlikely platforms for gamebooks. Sam Richards has done this for Twitter. Tweet RPG is an innovative approach to gamebooks. You follow the Tweet RPG account to receive choices for the current story. Each choice has a hashtag to go with it. You reply to the tweet to say what you want to do by copying the hashtag that is associated with the choice. If you include an amusing or inspiring tweet with your choice, you may get a retweet. What then happens is that after the deadline, the most popular decision is played and you then come across the new situation. It's like getting micro paragraphs. As well as giving you a live action gamebook feed, Sam also writes the story so far on his blog so that you can catch up and join a story half way through. That way, as well as taking part in an adventure, you also get to create your own epic. At the end of the gamebook, stats are given and awards are handed out based on how you tweeted. Tweet RPG is innovative and fun and lets you play a gamebook wherever you can access Twitter. If you are not already on Twitter, you should join it for Tweet RPG. To find out the kind of things we get up to have a read of its first adventure, Kingslayer. 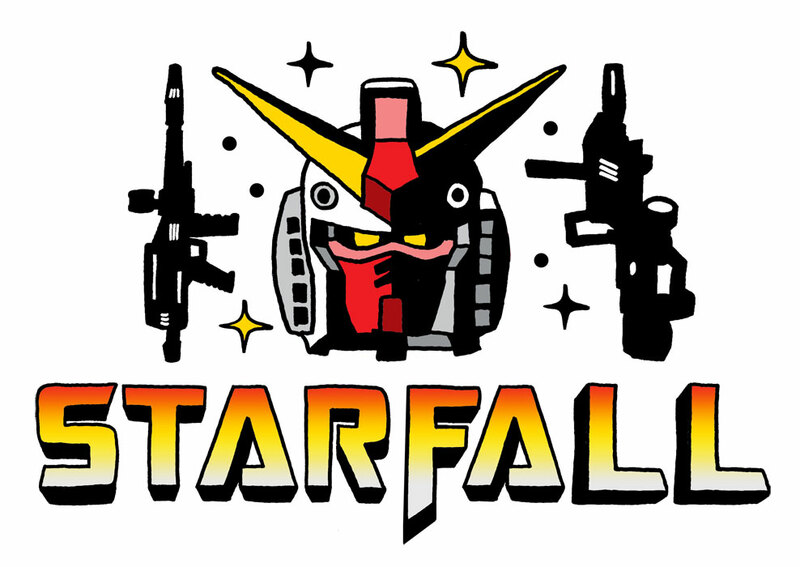 The current adventure is Starfall, a sci fi adventure which is going great at the moment. It is easy to join in half way through - just catch up by reading the summaries of the posts, find the latest vote on Tweet RPG's Twitter feed and vote on it. So join us all in making a huge gmaebook playing community on Twitter. :). So it's a bit like MS Paint Adventures through Twitter? I have a had a quick play of MS paint adventures. I like it. You do not get to create your own next scene with Tw33t RPG - they have it all sorted out before you go. It is a good adventure.